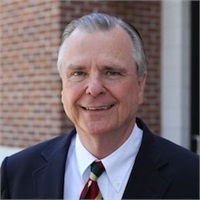 Alfred Pinckney | Consolidated Planning, Inc. I entered into the insurance business with Equitable Life in 1966. I joined MassMutual in 1968 and retired from MassMutual in 2002 after 34 years as a registered representative. I joined Guardian/Consolidated Planning as a registered rep in January of 2003 to present. Throughout these years I became a Life Member of the Million Dollar Round Table. I was a member of the Life Underwriter Training Council Fellow(LUTCF) and a Registered Investment Advisor. I have been married to my wife Julianna French Pickney for more than 50 years. We have three beautiful daughters and seven fantastic grandchildren. I live in downtown Charleston and I am proud to be apart of Charleston's history. In my spare time I enjoy walking downtown and gardening.